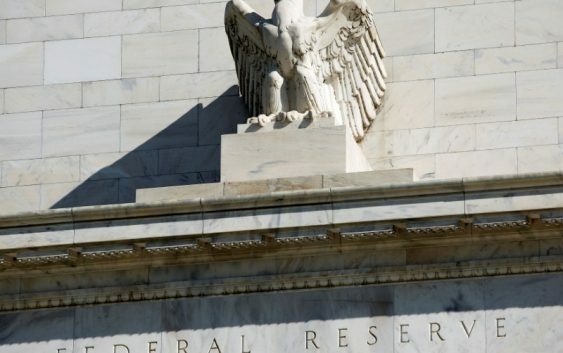 WASHINGTON (Reuters) – Federal Reserve officials are scouring new niches of the financial markets to find signals accurate enough to warn the central bank when it is time to stop hiking interest rates before they risk tipping the economy into a recession. In the run up to previous downturns, the Fed has jacked interest rates to restrictive levels as it sought to temper inflation. This time, the central bank hopes for a softer landing with rates moving just high enough to avoid overheating without ending a nearly decade long expansion. It is a tricky exercise that pits standard views about the importance of longer term yield curves as signs of recession risk against new variations that look at shorter term interest rates. But it could influence just how far the Fed goes in its current rate hiking cycle. Their measure showed little recession risk on the horizon – a green light for continued gradual increases in interest rates at a time when some Fed officials have taken the narrowing spread of long-term yields as a sign the Fed should halt its rate hikes now. It is not the only new indicator probed by policymakers as a better real-time warning of coming trouble. “We are doing a lot of work to see what metrics are there to give us signals about weakness in the marketplace…I want to make sure we do all that we can not to miss something,” Atlanta Federal Reserve bank president Raphael Bostic told reporters recently. Recent research showed that a decline in the expected future federal funds rate implied by eurodollar contracts foreshadowed the start of the last two recessions about a year in advance, while an increase preceded a return to growth. That analysis currently shows rising interest rates in coming years, and thus little near-term recession risk. As with the research presented at the Fed board, the eurodollar analysis looks at financial market pricing for clues that investors expect the economy to weaken. The same principle guides the analysis of longer-term securities: when investors demand more to hold a 2-year note than a 10-year bond, that means they are not confident about upcoming economic conditions. The advantage of shorter-term yield curves, researchers argue, is that they seem to provide a sharper and more timely signal that is less influenced by larger forces, such as demographics or changes in people’s time preferences, that can impact longer-term yields. The hunt for new signals has gained urgency with the flattening of the long-term yield curve since the Fed began raising interest rates in late 2015. The difference in yields between 10 and 2-year Treasuries was at less than 0.3 percentage points this week, the lowest since just before the onset of recession in 2007. 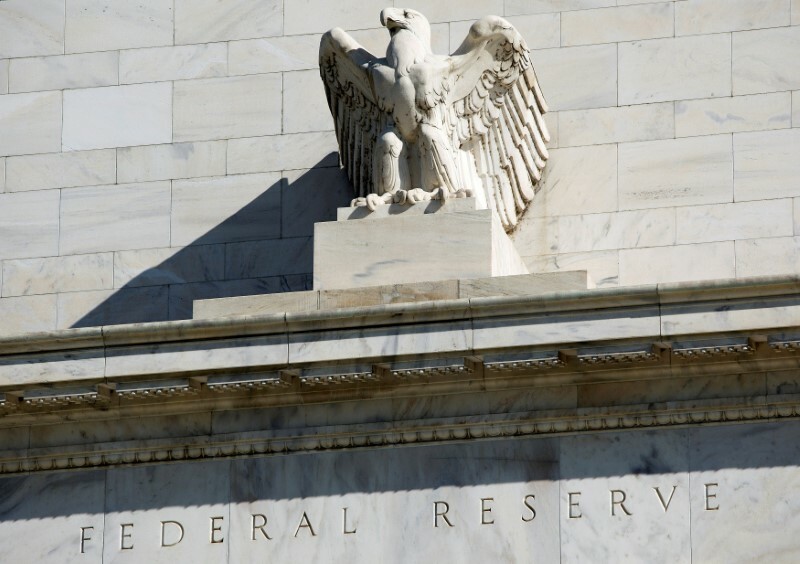 That has prompted some Fed officials to call for a halt to rate hikes. In the past, a rise in the 2-year rate above the 10-year one has dependably preceded recession. The Fed expects to continue raising rates gradually through 2019 to guard against inflation as an expected rush of economic growth follows the recent fiscal stimulus and tax cuts. But the impact of that stimulus may fade, and the Fed is trying to balance its desire to insure against inflation with its concern about raising rates so high that it begins to stifle household or business spending. Its aim is to edge the target interest rate to a “neutral” level where the economy is growing in line with its long-run potential and inflation is stable. The problem with the neutral rate is that it is a hypothetical construct – an “unobservable variable” in central bank speak. No one knows exactly what it is and policymakers’ vary widely in their estimates of it. A more timely take on recession risk could arguably provide a sort of proxy for neutral. If the short term curve flattens, it means investors, at least, think the Fed is approaching its stopping point. Engstrom and Sharpe noted that their take on recession indicators may be less affected by “many of the factors” that could cause longer term yield curves to flatten, such as a decline in the reward demanded to invest money over longer periods. It is those other variables that have led some Fed officials to discount the importance of longer-term bonds as a predictor of a recession this time around. Other Fed policymakers, though, still see the flattening of the long-term yield curve as significant, even as real economy indicators like home and auto sales, whose slowing might indicate Fed policy is starting to bite, remain healthy.